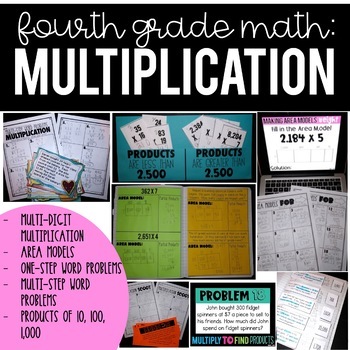 - One Step Multiplication Word Problems: Students have 10 word problems to solve. This can be done like a SCOOT or at their tables. There is a recording sheet and answer key. 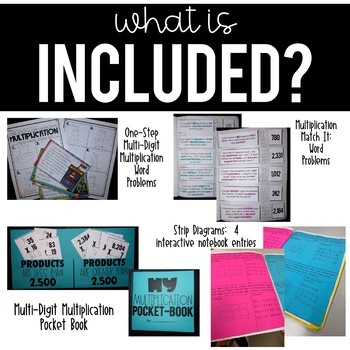 - Multi-Step Multiplication Word Problems: Students have 10 word problems that have multiple steps to solve. This can be done like a SCOOT or at tables. There is a recording sheet and answer key. 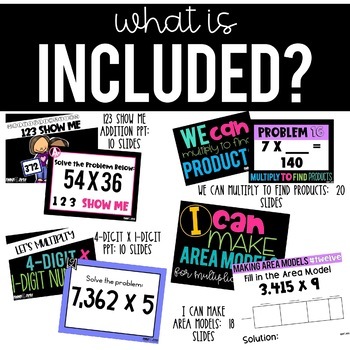 - Multiplication Word Problem SCOOT: Students have 12 word problems to solve. This can be done as a SCOOT or at tables. There is a recording sheet and answer key. 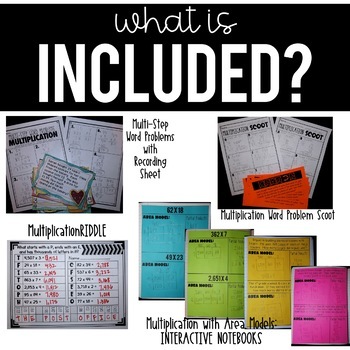 - Interactive Notebooks Strip Diagrams: There are 8 problems and 4 interactive notebook entries. Students show their work using strip diagrams.